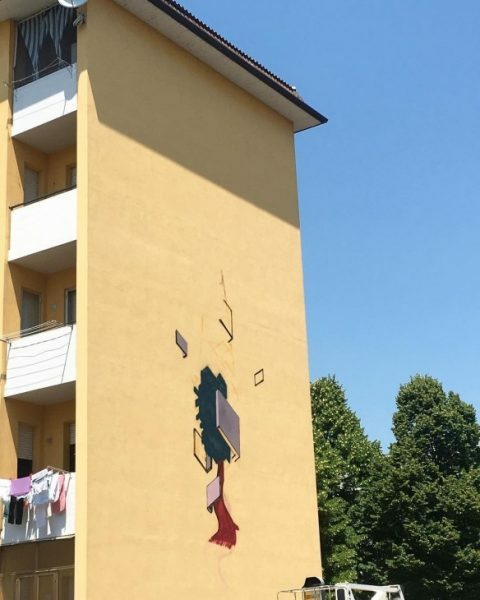 The italian- swedish street artist, illustrator and toy designer Etnik, who´s real name is Allessandro Battisti, creates a new mural in Italy. 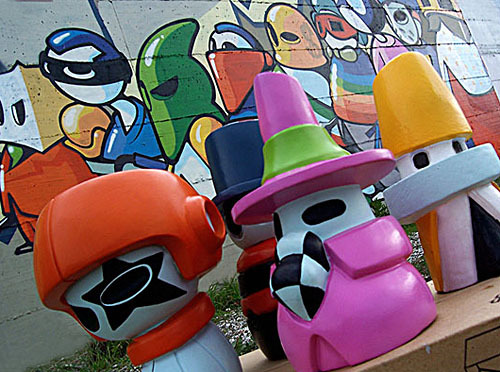 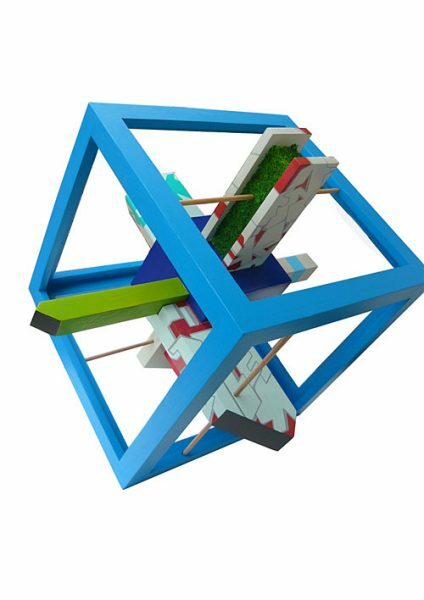 Starting his career in the early 90s as an street artist, he has been working on finding new ways to push the limit of classical graffity, trying different media like canvas, sculptures or installations – evolving his own style with geometrical and architectural forms – painting big murals in a variety of vibrant colours. 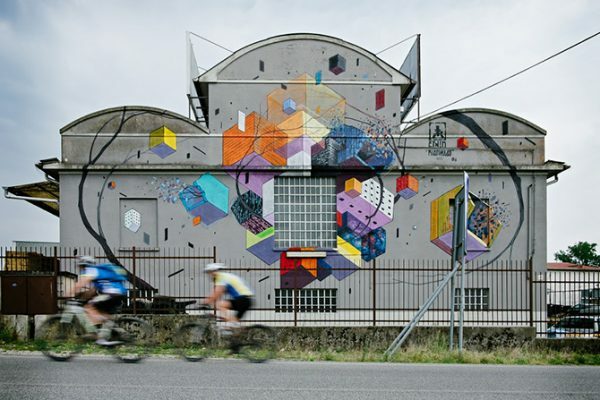 His latest work of art is a beautiful mural somewhere in Italy – part of the „Without Frontier Project“. 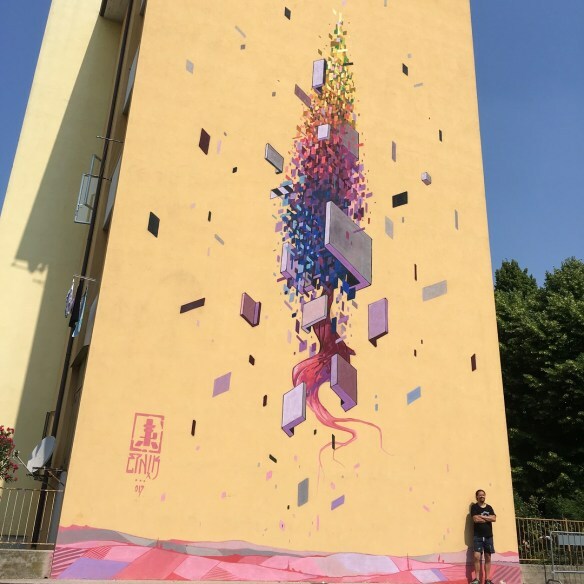 We can see a swirling collection of different geometrical shapes towering into the sky above an italian street, using up the whole space of the wall. 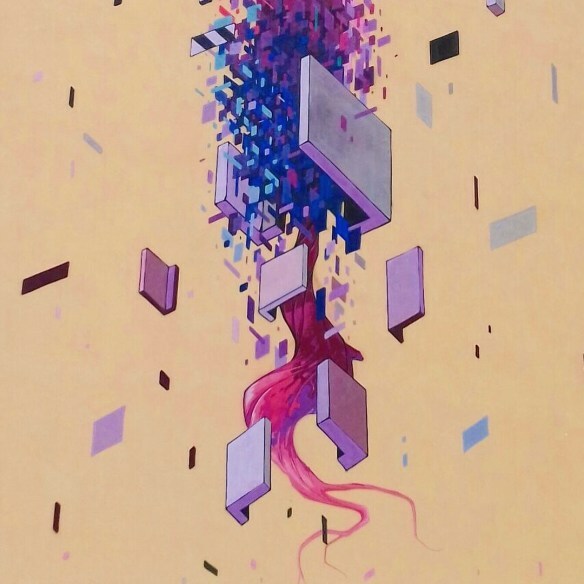 Little pixels flowing around, all of them being part of something bigger, like Legos. 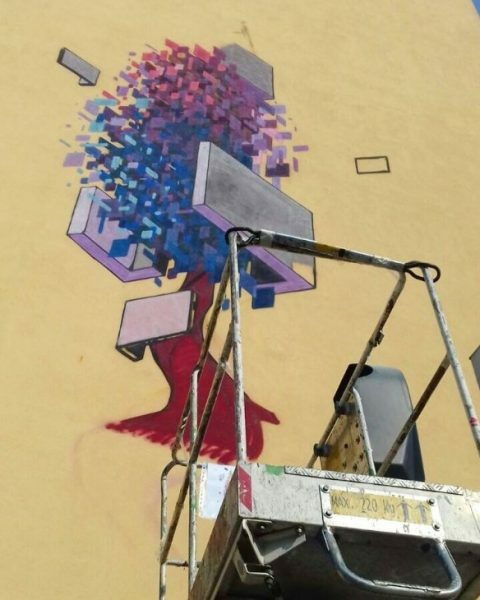 Veröffentlicht in Graffiti, Murals, Paintings, Projects, urban artGetaggt mit allessandro battisti, colours, Etnik, geometric, graffiti, italy, murals, streetart, urban art, without frontier projectBookmark the permalink.